It pays to belong to your Association. Discounted products and services offered through the LIBOR, NYSAR and NAR. 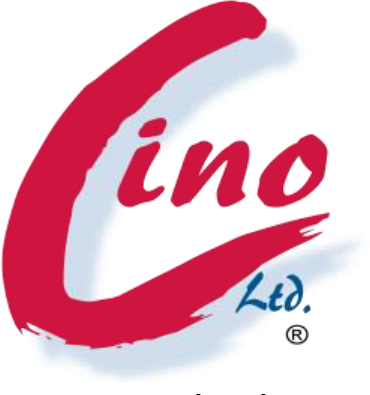 Click on the logo of each association for a list of products and services. Exclusive discount for LIBOR members! Hertz is proud to provide car rental savings to LIBOR. Everyday savings of up to 25% off when reserving with your organization’s CDP# 2150214 for either business or leisure travel. Bonus savings when combining promotional coupons with your CDP# letting you save even MORE! Receive complimentary membership in our award-winning loyalty program, Hertz Gold Plus Rewards®. Click Here to make a reservation or call 1-800-654-2200. Dollar and Thrifty: Save 7% off base rates at participating locations with Dollar Car Rental and Thrifty Car Rental! BMW of North America is pleased to offer "Best Pricing Available" to all LIBOR Members for any new BMW / MINI model. Members, and their immediate family, may utilize either the BMW Lease or BMW Loan Program to purchase your new vehicle or you may use other sources of funds for your purchase. The BMW program is offered nationwide. If you ever thought of owning the Ultimate Driving Machine or Motoring around in a MINI, please visit your local dealership and find out how easy it is to purchase a BMW or MINI. Be sure to print the attached LONG ISLAND BOARD OF REALTORS, INC. CIF and take it with you to the dealer. This document acts as your necessary program discount certificate. Please visit the website to see what models and discounts are available: http://www.bmwgroupfleet.com. Take a proactive stance against cyber threats to protect your business. But, where do you start? Our CCSA program is an Innovative Solution to cyber security; based on education and risk reduction best-practices, that is the CINO CYBER SAFEGUARD ADVANTAGE. To view more information, view our flyer. Constant Contact®, Inc.'s email marketing and online survey tools help small businesses and organizations connect to customers quickly, easily, and affordably and build stronger relationships. LIBOR Members receive an additional 10% off the standard prepay discounts. That is 20% off six months, or 25% off the full year. Pre-payment is required for these member exclusive savings. Click here to start today! LIBOR has identified two sources for health insurance: LIBOR does not endorse "Conference Associates Health Care and Insurance" or "Atlantis Health Plan and Insurance Plus", nor does LIBOR sponsor, approve, or ratify any insurance plan or product offered by either of them. No warranties or guarantees are given or are to be implied by LIBOR providing the names of these companies. LIBOR has made no independent investigation with respect to these companies. All information and products provided by these companies should be independently verified by you. LIBOR does not assume liability resulting from your dealings with these companies. LIBOR HAS NO CONTROL OVER EITHER COVERAGE OR PREMIUM. LIBOR members pay less on enrollment fee and services with EDP Dental Plan, an affordable alternative to insurance. Reference code “LIBOR” and save. Join the JETS in 2017! The NY Jets are offering Long Island Board of Realtors an exclusive discounted ticket offer in great locations for select regular season home games! JinList.com is the leading platform dedicated to connecting U.S. real estate professionals with affluent Chinese buyers in China and the U.S. With access to 18 million active users in 363 cities across China plus Hong Kong and Taiwan and over 200 major metropolitan cities across North America. Along with auto, home and life insurance we also offer pet insurance and small business insurance. Also, ask about our new Liberty Mutual Auto Insurance Referral program where LIBOR members can receive prepaid debit cards for auto insurance quotes. Please call Al Drago at 631-312-9121. The Legal Helpline gives you direct access to a Board retained, real estate attorney, who is available to answer legal questions that may arise. The Legal Helpline allows you to simply e-mail your inquiries to the helpline attorney and your questions will be answered via phone or e-mail within 24 hours of the time the question was sent, if sent during the business week. Shopping is now a keystroke away for all of your real estate needs through the new LIBOR Store. Members pay less for real estate products and specialty items to include: popular books, DVDs, CDs, real estate forms, fair housing training materials and an array of customized promotional real estate products. Visit the LIBOR store and have your member number handy to start saving. Documents on Demand are available on the internet at our website. Save on Discount Oil Plans. Call at (516) 783-1000. National Tenant Network is now offering a reduced set up fee for LIBOR members!! Contact Elisabeth Ooka at 800-422-8299 xt.142 for details. 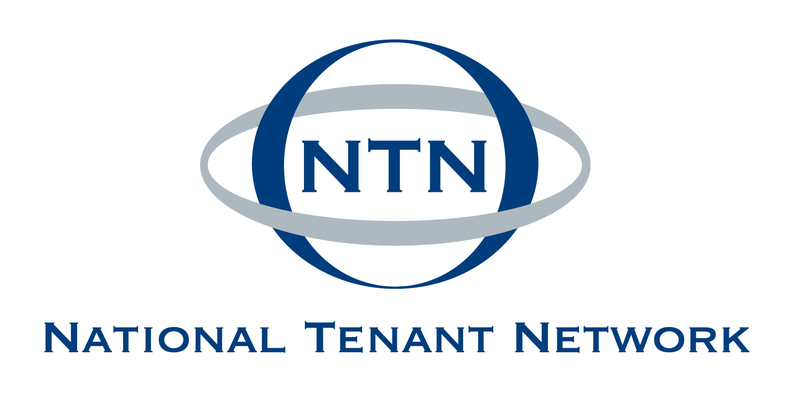 As the nation’s oldest and most experienced residential screening company, NTN offers unmatched rental screening services to help property owners and agents make the best leasing decisions possible. More than just a credit report, NTN reports provide unsurpassed court data, including housing court and criminal background information. NTN reports also provide comprehensive risk assessments without compromising sensitive credit information and can assist with Fair Housing compliance. Only NTN offers the tools, data, and service to help you attract, qualify, and retain the best, most profitable residents. Office Depot and OfficeMax are now one company! LIBOR Members can save up to 80% on over 93,000 products. Great for your printing, cleaning and office needs. Shop online or in any Office Depot or OfficeMax store. Enjoy FREE next-day delivery on online orders over $50! Click here to shop online or print off a FREE Store Purchasing Card. We provide photographic services for real estate professionals. One Fine Day Real Estate takes pride in the relationships they have build with local REALTORS® and business owners. They are Long Island based and thoroughly trained so the service you receive will be prompt and consistent. Realtors® receive a special discount at all PC Richards stores throughout Brooklyn, Queens, Nassau, and Suffolk. A required discount letter from LIBOR must be presented. Follow this link to download the discount letter. All members receive a photo ID card after uploading their photo in Stratus. This ID card provides a quick, effective means of identifying an agent and is used as the key to access the SentriLock lockboxes. Lockbox access is available by subscription. Lockboxes are available for purchase at all Realtor Service Centers. For details, call 631-661-4800 ext 11. As a Long Island Board of Realtors member, your UPS rates have just gotten better and your discounts now include Ground services. With UPS even small businesses save big! For complete details or to sign up, Visit this Website. As a member of the Long Island Board of Realtors, you will receive up to 20% off the “Best Available Rate” at over 7,500 participating Wyndham Hotel locations worldwide. Whether you are looking for an upscale hotel, an all-inclusive resort or something more cost-effective, we have the right hotel for you! This offer is available exclusively to LIBOR members and the savings add up! Staying at a high quality hotel shouldn’t bust your bank. Search through thousands of available rooms and take advantage of these incredible savings by clicking here! NOTE: Before purchasing any product or service that is part of the LIBOR Membership Benefits Program, members are strongly encouraged to independently verify these companies and their products and services. LIBOR has made no independent investigation, and no warranties or guarantees are given or are to be implied. LIBOR does not assume liability or responsibility resulting from your dealings with these companies if you are dissatisfied with any product or service.